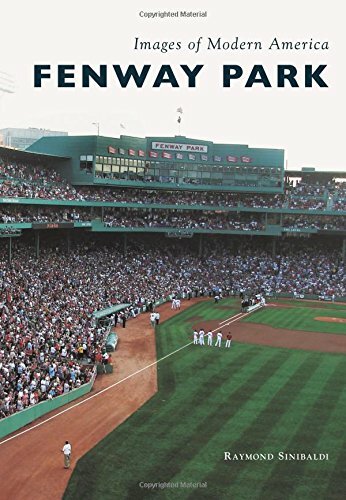 Noted author Ray Sinibaldi has given us a feast for the eyes in "Images Of Modern America, Fenway Park". Filled with photos from the earliest days of Red Sox history (e.g., classic images of the Royal Rooters), to Big Papi's final game at Fenway—this is a great read. While this volume is physically smaller than the classic "coffee-table" book, it should take its rightful place there in your home. Another great image in the book is the Barry Chin photo of Jason Varitek getting up into A-Fraud's grill in 2004. Who can forget that? But our favorite image of all doesn't even involve any Red Sox players. It's a 1963 photo of Celtic great Bill Russell on the field at Fenway Park chatting with Yankee third-baseman Clete Boyer. The eventual two-time World Series Champion looks like a 10-year old kid in a candy store next to the eleven-time NBA champ—the professional athlete with the most championships ever. It's a great one—that you really couldn't see anywhere else. You can purchase the book online at Amazon HERE.